Quickly model undocumented pressure vessels using only minimal inputs with the INSPECT Vessel Wizard. This step also creates the required ASME® design documentation. Most of the input information needed to model your vessel can be found on its U-Form. If you don’t have a U-Form, API 510 Section 7-7 gives guidance on what assumptions to make for inputs such as materials of construction and joint efficiencies. Specify automatic or manual addition of condition monitoring locations (CML’s). Use estimated corrosion rates or actual measured thicknesses to quickly produce API 510 inspection reports complete with remaining life calculations and inspection schedules. 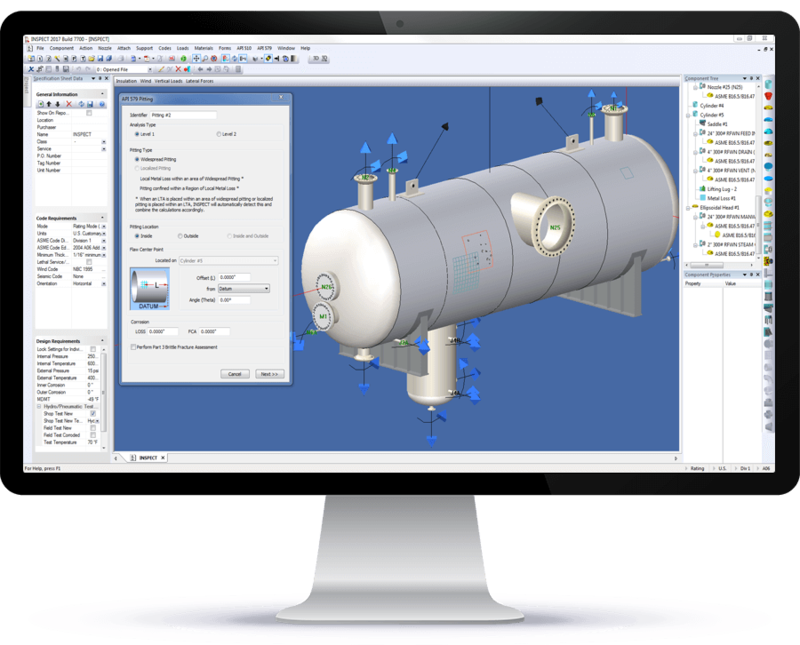 Automatically generate pressure vessel as-built drawings with the Codeware Interface and its Drafter 3D feature.